Focal Spark In-Ear Headphones. Condition is New. Item was opened to photograph different aspects of this product. The item you see is the one you will get. Shipped with USPS First Class Package. 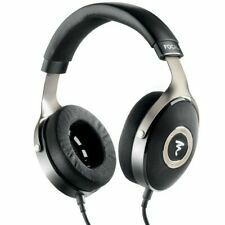 Focal Elear High Fidelity Headphones. The result is thus impressively realistic, making the headphones virtually disappear and providing listeners with a truly unique high-fidelity audio experience. Elear also benefits from the R&D done on Utopia. Open box, like new, sounds fantastic just tried once! 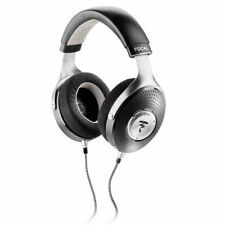 Focal Clear Circumaural High Fidelity Open Back Headphone with Hard carrying case and 3 Cables. CLEAR, a new circum-aural open-back headphone for audiophiles represents a new evolution of Focal’s nowfamous open-back, full-range speaker headphone family. Focal Clear headphones that sound even more amazing than they look. Typically signs of use on the soft aluminum and the microfiber headband/earpads, as shown in the images I took. Burnt voice coils. Put the completed RMA FORM inside the box with your item. We areNOT responsible for any custom duties or brokerage fees that may apply for all international orders. All products are covered by Techronics ' warranty. 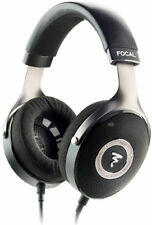 Focal Elegia closed-back headphones. Great Condition! Under warranty. 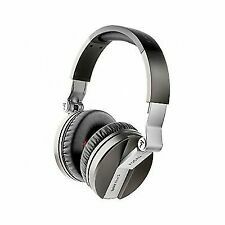 Focal Clear Open Back Headphones. Box was opened only to verify and test the headphones. One premium travel case is also included as standard. Signature confirmation is required. Listen Wireless are Focal’s closed-back wireless headphones, featuring aptX compatibleBluetooth. FOLDABLE CLOSED-BACK WIRELESS CIRCUM-AURAL HEADPHONES. PREMIUM WIRELESS HEADPHONES. Circumaural closed-back ear-cup headphones. Indeed, the lessons learnt with Spirit Classic and Spirit Professional headphones have been applied to the transducer, which featuresan ultra-light hybrid Mylar/Titanium cone. Portable headphones, light, comfortable and providing excellent insulation. Ultimate reference headphones and one of the best headphones in the world. Perfect like new condition. Headphones are probably the most dynamic and musically resolving headphones I have ever heard. Indeed, the lessons learnt with Spirit Classic and Spirit Professional headphones have been applied to the transducer, which featuresan ultra-light hybrid Mylar/Titanium cone. Portable headphones, light, comfortable and providingexcellent insulation. 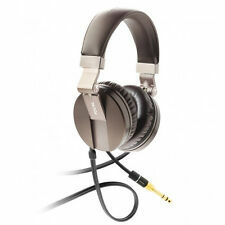 Elear are audiophile open-backed headphones manufactured in France by Focal. Be inspired by the sound of a high-fidelity system with a pair of Elear headphones, for hours of listening pleasure. The Utopia headphones are in like new condition and working perfectly. Everything is included in the original collector box. There is one uneven spot on the right pad as shown in the pictures which was like this from the factory and does not affect sound quality or comfort. Sweetwater is an Authorized Focal Dealer. In original box. No major signs of use. Case included. This is an open-box deal. Free tech support from audio experts. Special orders. 99.95% warehouse accuracy. Focal Sphear Dynamic In-ear earphones with in-line remote and microphone. Large, 10.8mm dynamic drivers for rich, natural sound. These headphones are the best closed-backs I have gotten to play with and truly give the Utopia a run for their money. Elear are audiophile open-backed headphones manufactured in France by Focal. Be inspired by the sound of a high-fidelity system with a pair of Elear headphones, for hours of listening pleasure. I have only opened the box to take pictures. Up for sale is aUSED pair Focal Elegia Closed-back Reference Headphones. Focal Elegia headphones integrate the best exclusive technologies from Focal. Designed and manufactured in France, the Elegia is the result of exclusive technologies from 40 years of expertise. 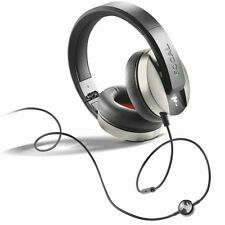 Focal Spirit One Closed-Back Headphones (White). Sounds great, feels great, looks great! No issues whatsoever. Comes with both original cables, one with inline controls, one without. These are awesome headphones. You’ll love these! Focal Listen Wired Over the Ear Closed Audiophile Headphones. Headphones are collapsible and fits into a nice small soft case. They are in excellent condition and sounds heavenly! Extremely detailed sounding headphones. 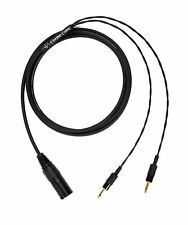 Includes the standard cable with inline mic and controls, long extension cable with 1/8” adapter and original soft case. Enjoy Focal Sound wherever you are with Sphear in-ear headphones. The ultra-large Mylar transducer (10.8mm), one of the biggest of their type, ensure an extended frequency in the low end as well as a remarkable tonal balance. Focal Elear Headphones Earpads. Earpads only. Tested on a Focal Utopia one time for fit then removed. Listen Professional circum-aural closed back headphones are the essential work tool for music production. Even if Listen Professional headphones are closed, they produce a very lively sound, giving the feeling of semi-open headphones while still providing the isolation of closed headphones. That isn’t just hype or marketing buzz, the dynamics on these cans is out of this world. 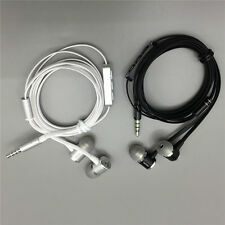 In this regard, every other headphone I have heard has to bend their knee to the Elear.". Trade: Make your budget go further with a generous trade-in allowance. Focal Elegia headphones integrate the best exclusive technologies from Focal. Professional Over-Ear Closed Back Circum-Aural Studio Headphones. Closed, circumaural design. A warm sound combined with the dynamics of the transducers will enable you to find the pleasure of listening to all of your music with wonderful details. NEW FOCAL SPIRIT ONE S DYNAMIC CLOSED BACK ENHANCED BASS HEADPHONES WITH REMOTE in o riginal Box with all its original manual and accessories. enhanced bass response for better tonal balance during on-the-go use. NEW FOCAL SPHEAR DYNAMIC EARPHONES WITH REMOTE in o riginal Box with all its original manual and accessories. • Compatible with all types of devices (smartphones, tablets, MP3 player, computers). Impedance 16 Ohms. Trending at $87.10eBay determines this price through a machine learned model of the product's sale prices within the last 90 days. Focal Spark Wireless Bluetooth in-Ear Headphones, Black, Silver, Gold NEW! Brand New, from Official USA Dealer, Full Warranty! The highly accurate reproduction of bass frequencies will reveal the smallest defects in the mix while avoiding acoustic constraints of the workspace. Type: Closed-back circum-aural headphones. World Wide Stereo:Awe Inspired. It has never been used or opened and it was sent directly from Focal. 1 Spark In-Ear (Black). 1 Battery clip for sports activities. Flat Cable. opening a case and we will fix the issue within 24 hours. 1 USB cable. 1 Rigid carrying case. If you feel we deserve. arrived in. Free From the Constraints of Traditional HeadphonesThe Listen range of headphones is expanding with Listen Wireless. Listen Wireless also has excellent dynamics tight bass and remarkable tonal balance.